A winemaker, an eye doctor and an equity partner are among this year's winners of Mulan Women Achievement Awards which highlight the remarkable contributions of Chinese women made in the UK and Europe. Lina Fan, a French wine expert and owner of vineyards in Bordeaux, France, won the contribution for business and enterprise award. She was much commended for advancing the techniques and appreciation of wine making and its cultural importance beyond a country with a renowned history in the art of wine making and whilst up against local experts. "I have a passion for wine making, and I am delighted that through my work, we prove that a wine maker from a Chinese background can not only maintain the professional standard in Bordeaux but also excel," Fan said at the award ceremony at the Parliament building this week. She is the first general manager and wine maker from a Chinese background in a Margaux vineyard in Bordeaux, France. 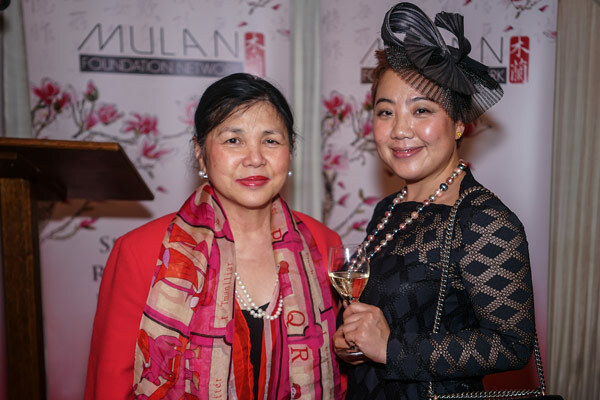 Mei Sim Lai, Chair of the Mulan Foundation Network which gives the awards, said "I believe, and I know, that Chinese women around the world have so much to offer, to help each other, to deal with the businesses and also to act as role models for others. And this is what Mulan charity is all about."